Costa Rica is a surprisingly diverse country for its size, with tropical rainforests, mountainous regions and of course, breathtaking coastlines. With the famous ‘pura vida’ lifestyle and the potential of a lower cost of living, it’s not difficult to understand why Costa Rica took second place in the Expat Insider Survey’s best place for expats in 2017. With so much geographical diversity, picking the right place to relocate to ultimately comes down to personal preference. However, we’ve listed the three most attractive areas for expats in Costa Rica to help you narrow down your choices. The central region of Costa Rica has long been popular with expats because of its proximity to the country’s capital, San José. Expats looking to relocate to Costa Rica for work often want or need to be within commuting distance from San José, and the capital offers a large variety of amenities and cultural activities. For those moving with children, it’s worth knowing that there are a variety of international schools in the San José area, and the downtown area is only a 30- to 40-minute commute from popular expat locales such as Escazú and Atenas, traffic permitting. The Central Valley is a highly popular location simply because of its beauty, offering expansive views of the surrounding mountains. The reason places like Atenas and Escazú are so popular with expats is because they are well-positioned for commuting between the lively capital and the calm coastal regions, allowing city workers a slice of the ‘pura vida’ lifestyle. The mountain havens of towns in the Central Valley also offer cooler temperatures, due to their altitude, than the lowland coastal regions of Costa Rica. Costa Rica is making a name for itself as a destination that offers the opportunity to achieve a more relaxed way of life, for a lower cost of living than you may find in your home country. While this very much depends on what lifestyle costs you’re already accustomed to, Costa Rica tends to come in lower for the cost of living than the USA, UK and Australia. Convenience, space, more tolerable temperatures and popularity with the expat community do push up the price of property in the towns of the Central Valley. The cost of renting places like Escazú can be up to 23 percent higher than the cost of renting in the northern coastal region. Costa Rica is also not immune from the stress of the daily commute – if you live in the Central Valley, getting into and around San José during rush hour can be an ordeal. Both government-run health care through the Social Security System (Caja) and private health care are available in Costa Rica. All legal residents of Costa Rica are required to contribute to the Caja system, and only these residents may use the system (except for emergencies). Because of this, it’s wise for travelers and temporary visitors to consider private health care options, and many legal residents use these services as well. Private health care services in Costa Rica can be paid for in cash – and many consider the cost of health care to be much lower when compared with North America – but medical plans or insurance are also worth considering. There are a few major private hospitals that many expats use, mostly located in and around San José, including CIMA Hospital in Escazú, the Clínica Bíblica in San José, and Hospital La Católica in San José-Guadalupe. 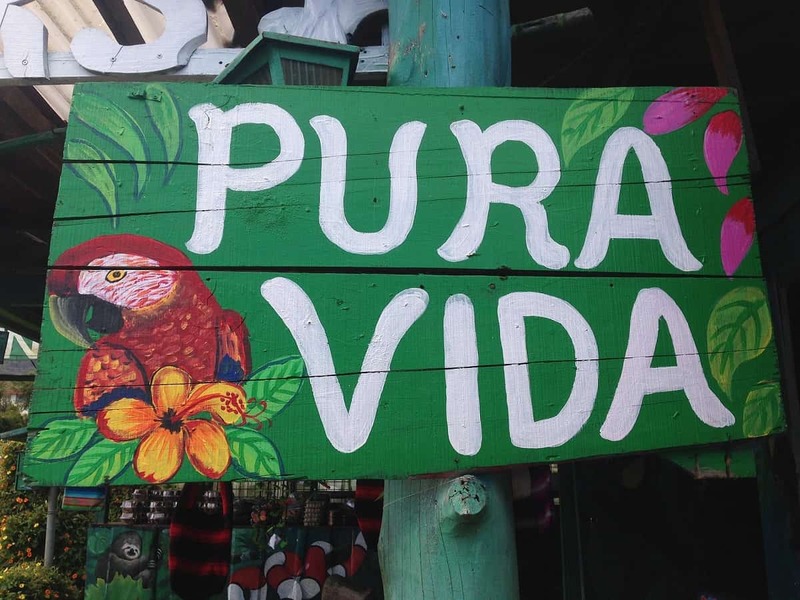 If the ‘pura vida’ is what you’re looking for in a relocation to Costa Rica, then the country’s Northern Pacific coastline is the perfect setting. The Guanacaste region is popular with expats because of its pristine, beautiful and safe beach communities. The area is a surfer’s paradise and offers a variety of outdoor (mainly water-based) activities, as well as abundant bird and marine life. The relaxed lifestyle of the Guanacaste region does mean that amenities and conveniences are sometimes harder to come by, but not necessarily; international schools, health services and other facilities are increasingly available. Tourism to the area means you can still find US and UK-style food if you really want it. Shopping centers are not something you’ll usually find in the smaller towns, but small local stores and flea markets offer plenty of browsing potential. Many modern shopping malls popping up in areas like Tamarindo which is a popular expat town that balances of laidback living, day-to-day necessities and modern comforts. There is a strong sense of community in Tamarindo and the population is made up of a mix of locals, expats and surf-seekers. Work opportunities tend to be limited to the ‘digital entrepreneur’ sector – expats can own a business in Costa Rica but, by law, they are unable to work for the business in any capacity other than to carry out managerial duties. These laws are in place to protect the rights of Costa Ricans and to ensure that jobs are not taken up by foreign workers. Because of this, many residents of the Northern Pacific Region choose to work online in freelance roles (such as writing and graphic design) which gives the potential to earn an income outside of Costa Rica and also complements the flexible schedules of life in a beach community. Tamarindo is roughly an hour and a half’s drive from the nearest city, Liberia, and about 4-5 hours from San Jose. Although there are medical facilities available within Tamarindo, if you need regular, or serious medical treatment you may need to travel to seek it. Further south on the Pacific coastline is the Southern Zone of Costa Rica. This area is particularly popular with expats and has a large North American community, as well as many European expats. If you’re looking for laidback beach living within reach of the country’s most world-renowned biodiversity, the Southern Zone is the place to be. The Costa Ballena region, so called because it’s the mating area for humpback (baleen) whales from December to April,has several beach towns that are highly popular with the expat community: Dominical, Uvita and Ojochal. This region is also popular because it offers great surfing opportunities as well as stunning scenery; it’s the only area of Costa Rica where the mountain ranges sweep all the way down to the shoreline, giving a perfect mix of tropical jungle and crashing waves. Dominical, Uvita and Ojochal combined offer more in the way of bars, international restaurants and farmer’s markets than the northern coastal communities. Many expats have set up restaurants here, serving the cuisine of their home countries. There are also supermarkets, supply stores, schools and both a public hospital and private medical clinics located within the region. There is growth and desire for high-end housing in the area.